One of our three trays of post-Christmas cookies. They were spice-flavored and tasted better than they looked! 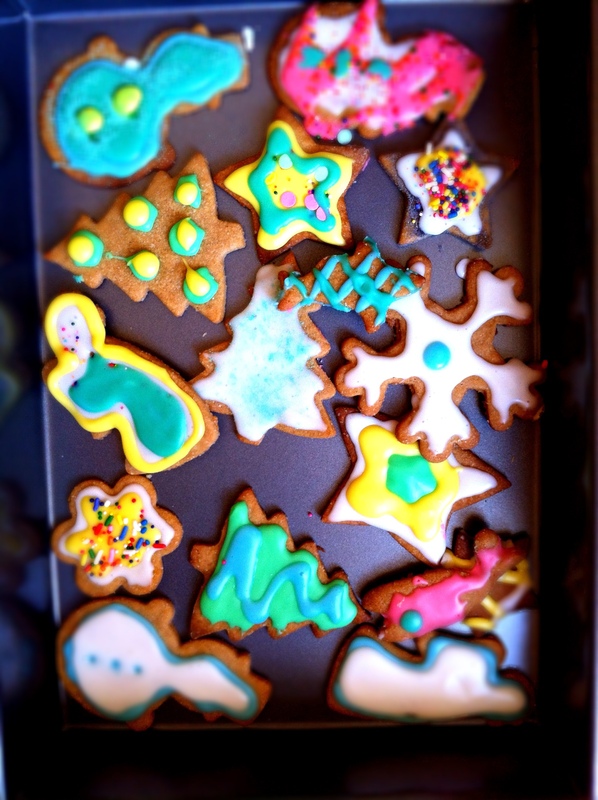 My cousin and I decided to make cookies after finding a fantastic Christmas cookie deco set on sale at Sur La Table. Kuhn Rikon at more than half off? Does syrup have sugar in it? Then, yes! We also test drove the Cuisipro decorating pen, which I have to say was a worthy non-sale splurge. 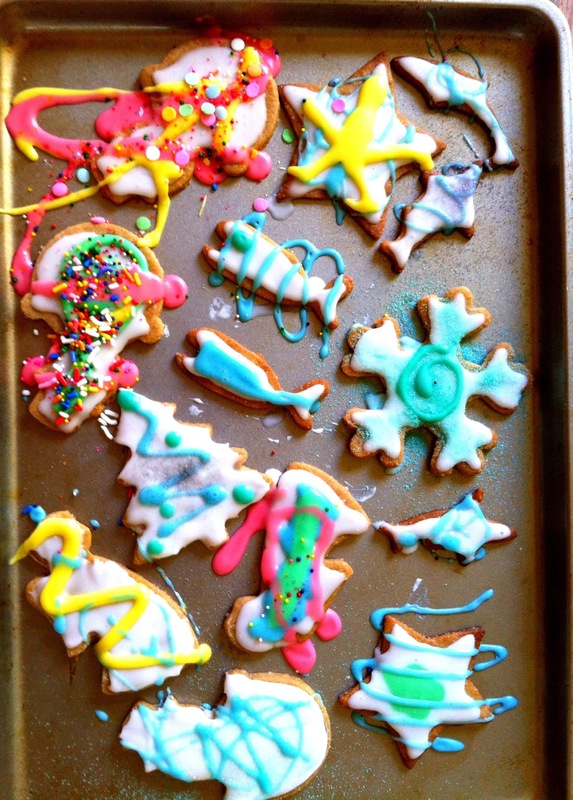 In light of the fact that this was Dec. 26 and also in honor of a trip to the SF MoMA earlier that day, we decided to forgo traditional Christmas colors (and cookie-decorating principles in general). We covered ourselves in bright pink and electric blue sugary icings well into the night and gave ourselves stomach aches sampling the goods. A very merry post-modern, post-Christmas cookie time, indeed. Kandinsky snowmen, Miro snowflakes and Klee stars for the sky! 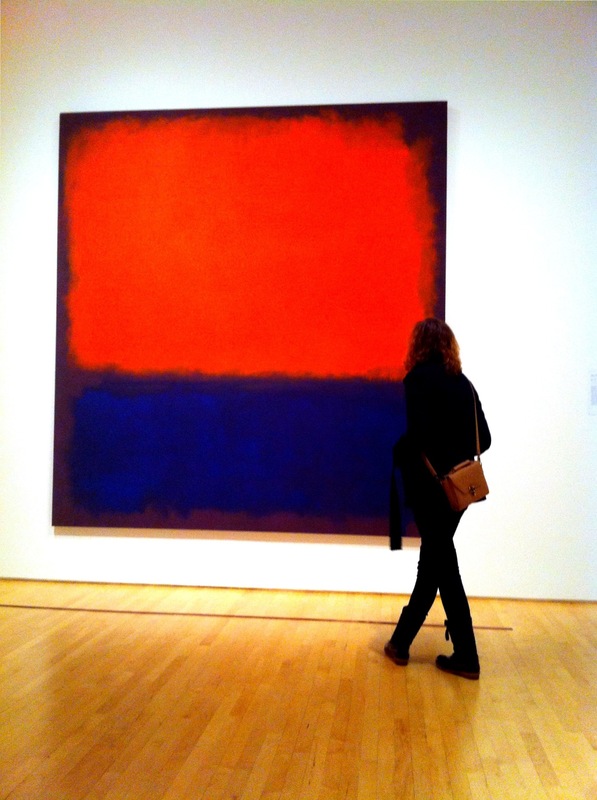 Jess admires a Rothko at the San Francisco MoMa. 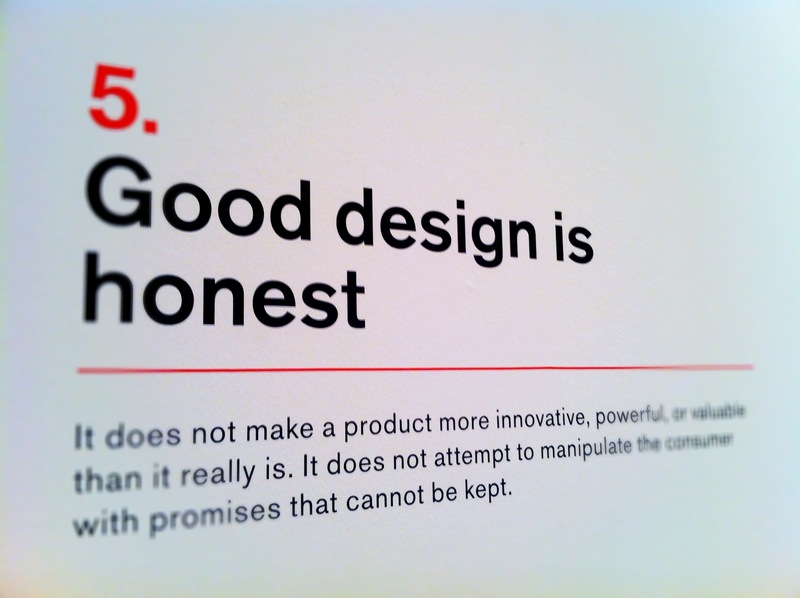 One of Dieter Rams' ten principles of good design, listed as part of an SF MoMA exhibit. Cookie makers, take heed! This entry was posted in Family, Food and tagged Christmas cookies, Cookies, Cuisipro, Kuhn Rikon, SF MoMA, Taken with my iPhone.